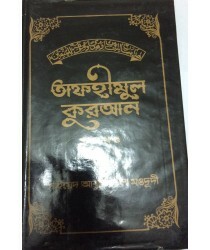 Author: Moulana Fazlur Rahman (Translator)Publisher: Imdadia Library DhakaSize/Vol. : A4 (21x29.7 cm .. Details: Basic Knowledge of Islam : Bangla/English/Arabic, NEW,*[A5] Paperback .. Author: Moulana Muhammad Abdul Awwal ChhatakiSize/Vol. : A5 (14.8x21 cm - 5.83x8.27 in)Language : Eng..